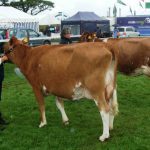 24 Guernseys from 10 exhibitors were present at Okehampton for Morris Grose to judge, which he did with in his usual decisive way. 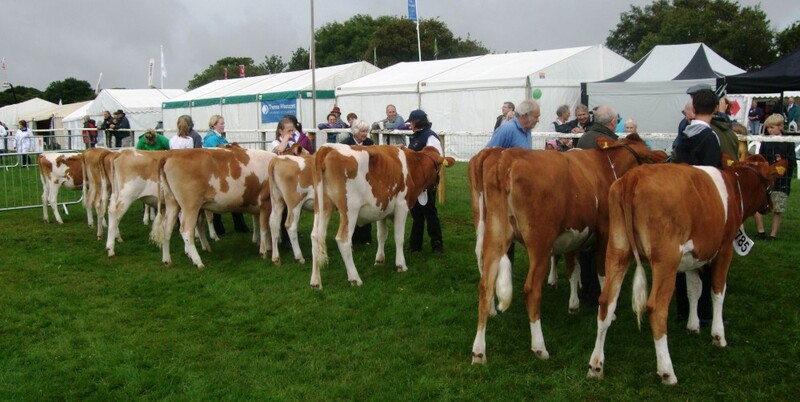 11 maiden heifers from 9 exhibitors provided the class of the day (and season) and Brian and Sheila Adams had the top 3 placings with on this occasion Hinton Nancy in first place , with the Addington Fund’s Trewey Plum Crasy 60 (shown/managed by the Adams’s) in second place and Wiltown Annabelle in third place, the Carpenter’s Fairfield Marshall Maria was 4th, with Trewey Amir Poppy in fifth place again from the Adams. 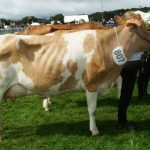 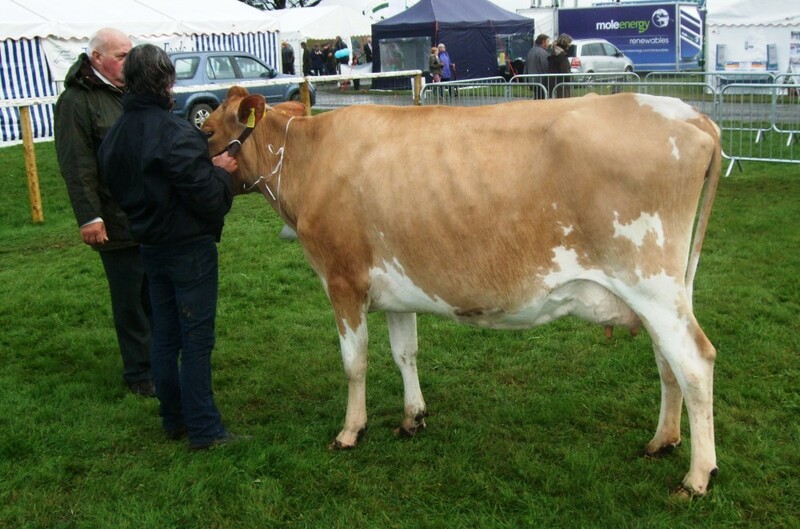 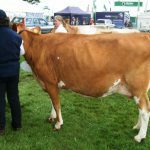 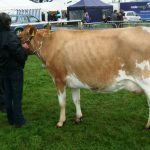 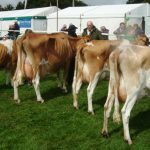 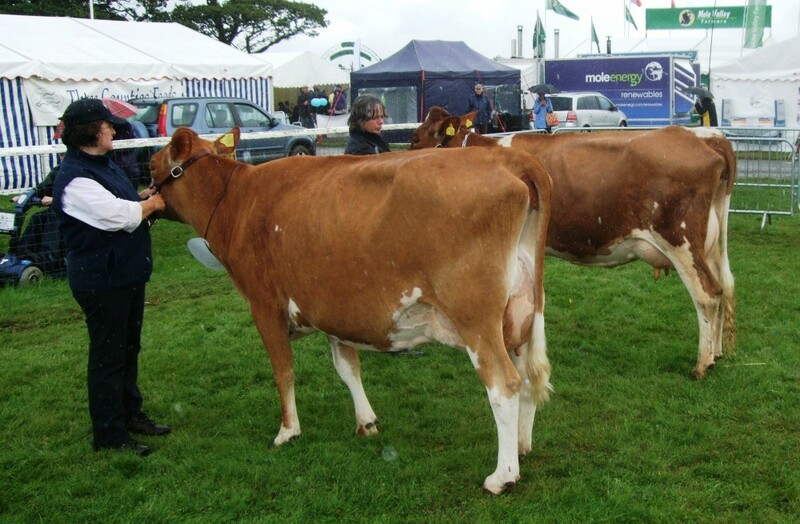 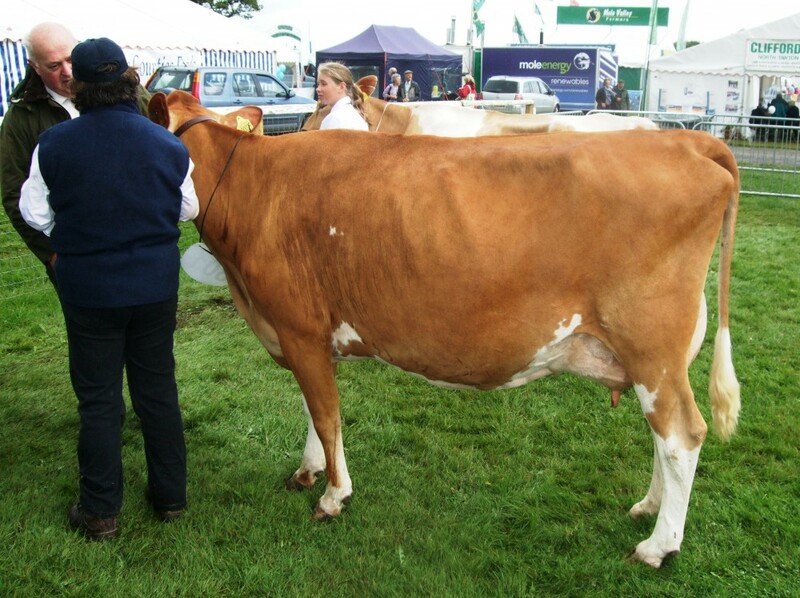 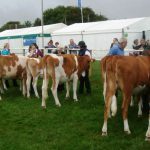 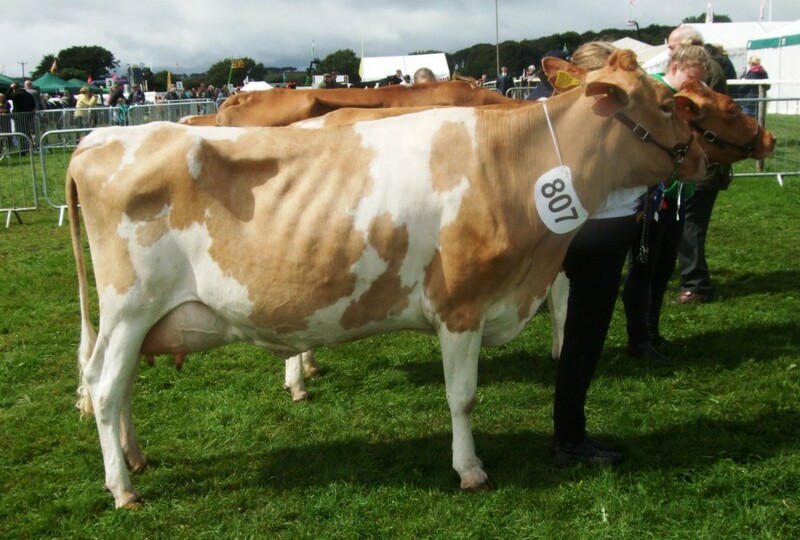 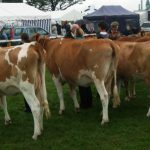 6 in calf heifers saw Greensfield Crunch Glade winning for the third time this season with Abi Marshall’s Bourton Shalford Damask in third place with John Mark’s Skeel Norman heifer in third place. 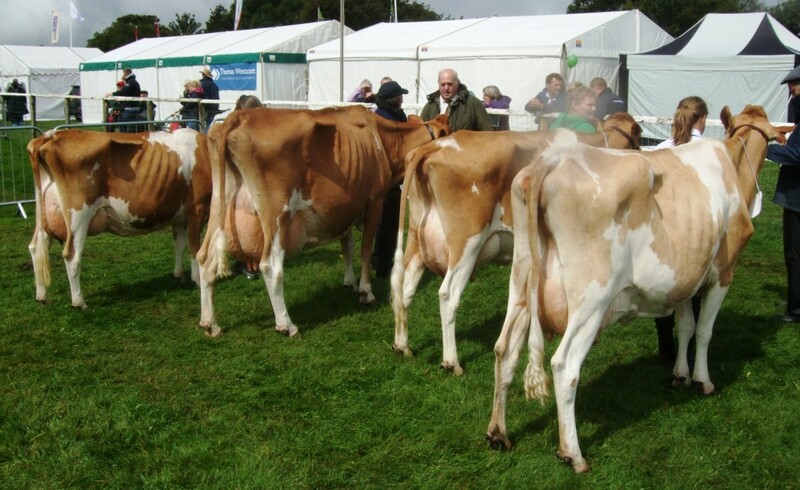 4 In milk cows saw Kingwell Lucky Trout from Jon White in first place with Greensfield Sudely in 2nd place , Trevider Hercules Linnette in 3rd place and Cracker BB Bramley in fourth place. 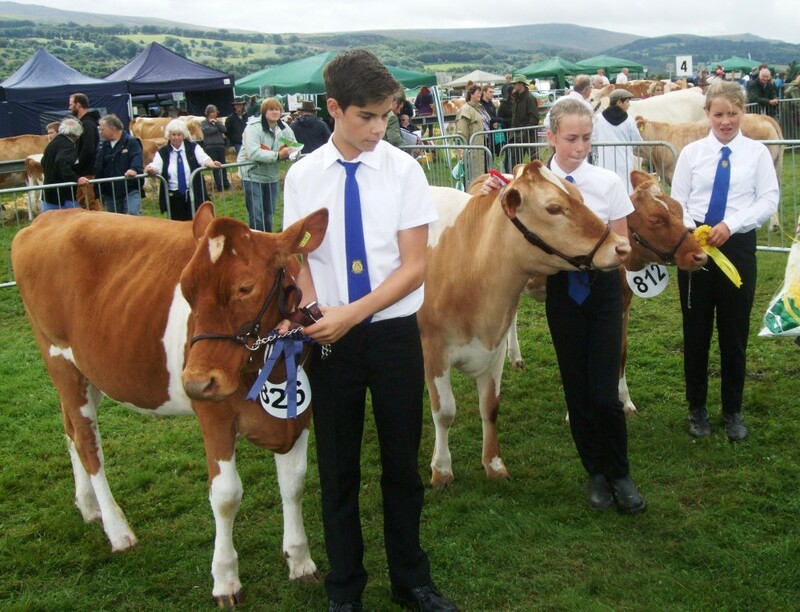 Morris chose Olivia as his Champion and K Lucky Trout as Reserve Champion. 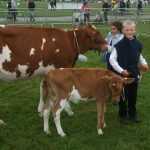 The Guernsey’s have their own Young Handler classes thanks to the enthusiasm of June Rockett, and two under 12’s competed in atrocious conditions with Issy Phillips and Annabelle gaining a win over Oliver Carpenter with F Pinto Holly and both combinations have a real bond. 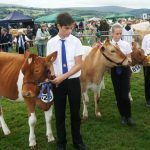 Three under 16’s saw former Champions competing and Harry Crowter prevailed with Nancy (whom he had shown to win the big class of the day) , with Abi Marshall the 2012 Champion in second place and Hannah Jefford in third place in only her second season. 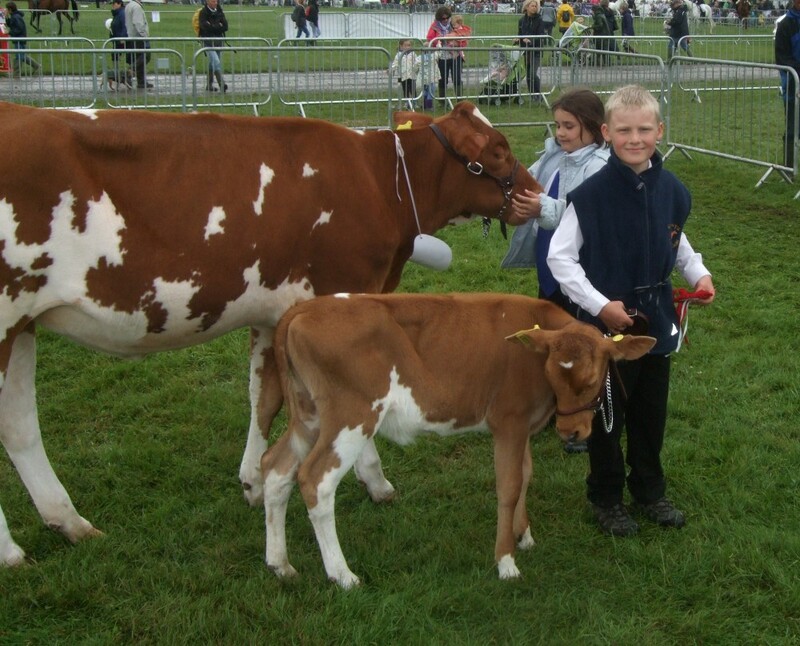 The show handling classes held later in even worse conditions saw Issy taking third place in a class of nine under 12’s and Hannah placed second in the Under 16 with Harry placed 4th as Nancy had one soaking too many and would not co-operate.